What to do if You are Injured in a Retail Store? A slip and fall in a retail business is more than just embarrassing. You can be injured, perhaps even seriously. There are many hazards that could cause a fall - frayed carpeting, liquid spills or even hangers on the floor of a changing room. All of a sudden you find yourself on the floor and in pain. Do You Know What to do if You get Hurt in a Retail Store? Report your injury to the facility manager or an employee. Complete an incident report to ensure that the retailer knows the details of your injury and so their insurance company can't deny that the accident happened. Before leaving the premises, get a copy of the report but don't sign it. Avoid making statements to anyone on the scene. Don't say "It's nothing" or "I'm okay" when you don't really know the extent of your injuries. Some injuries may exhibit symptoms only after a period of time has passed and your adrenaline has worn off. Gather evidence like photos of the scene and the hazard that caused you to fall. Take photos from different angles for thorough coverage. Get witness names and contact information. Ask store employees if a video camera may have recorded your accident. If the video recording is only kept for a limited period of time, ask for a copy. Go to a hospital emergency room right away or at least see your own doctor as soon as you can. Delaying medical care may exacerbate your injuries and some injuries won't heal without treatment. In some cases the retail establishment's insurance company may be able to argue that you were not seriously injured if you don't seek medical help right away. Document everything. Keep your copy of your accident report with all associated medical bills, lab and other tests and medication receipts. Document missed work and lost wages and other miscellaneous expenses like taxi fares to doctor appointments. Contact an attorney experienced in premises liability cases who will review your evidence, continue investigating your case and get you the compensation that you deserve. If you or a family member has been injured in a slip and fall accident or any other type of premises accident or personal injury, please contact the Law Offices of Diana Santa Maria, P.A. immediately. 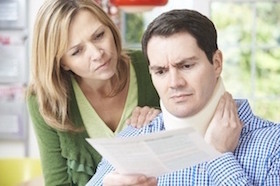 Our experienced attorneys have the right expertise to fight for the compensation you deserve. Please call us for a free consultation. Attorneys Diana Santa Maria and Laura D. Dolin, personal injury attorneys in Fort Lauderdale, will fight to secure justice for you and your family. You can reach us at (954) 434-1077 or contact us via the website.